Those of you who have been keeping up with my efforts may recall that I’ve previously written about the first two of the 5 CD’s I got from Beatties in Wolverhampton when I got my first compact disc player in the 1980’s. Of the five, four of them were by black artists, and all seminal. I’ve already blogged about Public Enemy and James Brown. The third is perhaps the most such recording. It also makes this post possibly the most redundant that I have or probably will ever write. 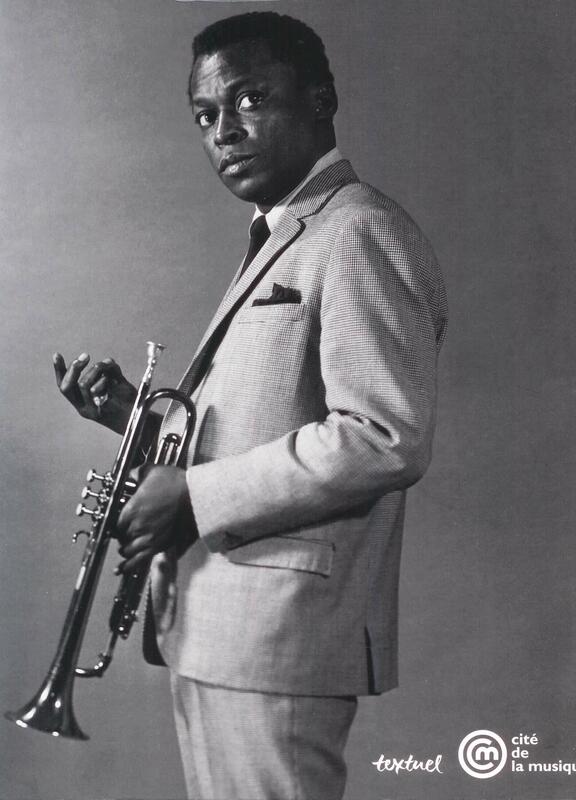 The LP in question was Miles Davis’s “Kind Of Blue”. Much has been written about the album, more than most other albums by people far better placed than me. Ashley Kahn has written a book about it, as has the Guardian sports writer, Old Grey Whistle Test presenter and wonder blogger, Richard Williams. Kahn writes insightfully about jazz. His history of the Impulse recording label (“The House That Trane Built”) is a great read. I’ve just started reading Ted Gioia’s “History Of Jazz” which I hope will fill in a few blanks in my knowledge. 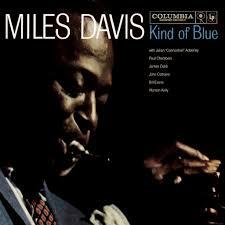 I would struggle to think of a record that has consistently brought me pleasure as “Kind Of Blue”. Some albums are placed on a pedestal without meriting it (I’m looking at you, Sgt Pepper). “Kind Of Blue” isn’t one of them. I would unreservedly recommend it. It may open your ears to the world of jazz, which many of you may find intimidating or unnecessary. Don’t be put off by “Kind Of Blue”. Even if you decide jazz isn’t for you, I’m sure you will get something out of the record. For me, it is a record that was my first foray into jazz. It led me to the Blue Note label, to Herbie Hancock and John Coltrane, to Jimmy Smith and Ornette Coleman, to Pat Metheny and Pharaoh Sanders, to Terje Rypdal and Keith Jarrett, to Kenny Burrell and Wes Montgomery, to Blue Note Records and ECM. In fact, Blue Note are doing a particularly addictive series of reissues at present to celebrate their 75th birthday, with lots of good stuff available on 180gm vinyl at reasonable prices. But don’t let that deter you. “Kind Of Blue” is accessible and appealing but doesn’t insult your intelligence. You can get lifetimes from it, or you can put it on and have it drift along in the background. It has tunes you can hum, even sing, especially “So What”. It’s got solos you can marvel at but they’re concise and reasoned. It can take you into a reverie, calm you, enliven you. The video below was produced by Sony to promote the 50th anniversary of the recording. It is a nice entree to the record. There have been numerous reissues. Don’t be intimidated – some are better than others but all are better than nothing. So I implore you to grab a copy. It might take you somewhere, it might take you nowhere. Either way, the forty five minutes that you spend in its company will be something to treasure. I’ve just bought my third copy of it, the latest one on vinyl for the first time. I traded a whole load of difficult pretentious stuff that wasn’t getting listened to that I bought to be challenged and have barely played. At least I know my new “Kind Of Blue” will get a few run outs.